Synopsis: Ever wonder what it’s like having a big family? 11-year-old Lincoln Loud lives with his 10 sisters. The trick to surviving the chaos is to remain calm, cool and collected. But most importantly for Lincoln, you’ve got to have a plan. 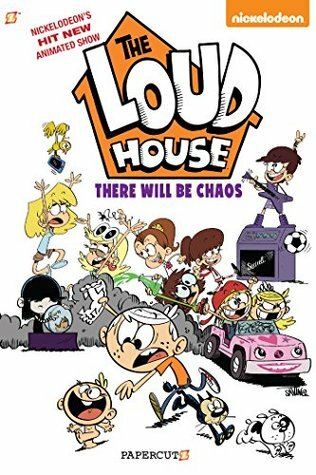 With all the chaos, and craziness, one thing is always for sure: there is never a dull moment in the Loud house! Review: Fun illustrations that look like they were pulled from the show, and great stories and games! About the Author: Chris Savino was born on October 2, 1971, in Royal Oak, Michigan, USA. He is a director and producer, known for Kick Buttowski: Suburban Daredevil (2010), Dexter's Laboratory(1996) and The Powerpuff Girls (1998).